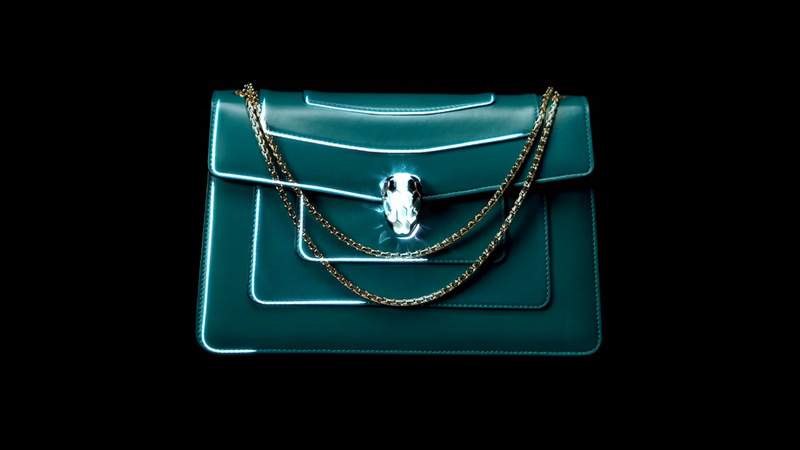 BVLGARI SERPENTI FOREVER | studioAIRA! On the occasion of Serpenti Forever Worldwide Campaign, signed by director Kal Karman, studioAIRA was contacted to realize a micromapping on Serpenti woman’s bag. Sharpening the bag with light, the projection mapping enhanced the design and the prestigious materials of the item. This custom set of animations was projected live and filmed in studio to appear exclusively in the official movie.